Contact Dalhousie University's Research Data Management Team at data.management@dal.ca to obtain your own dataverse. 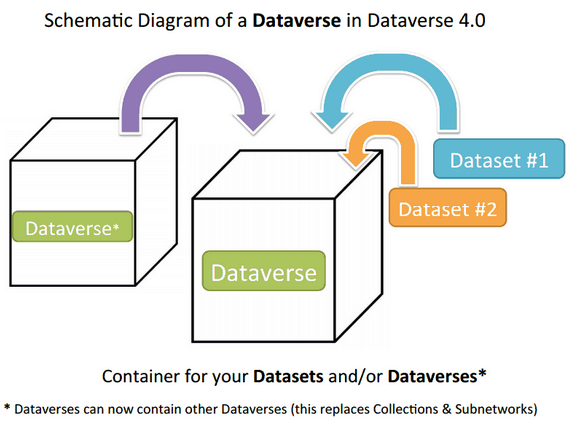 To get started using Dataverse, contact the Dalhousie Libraries Research Data Management Team. They will provide you with an overview of Dataverse, assist you with setting up your Dataverse and provide support as needed. Dalhousie University has a hosted version of Dataverse (v.4.7) for researchers to deposit and share data openly or privately. The data is hosted on Dalhousie's servers. The service is primarily for those affiliated with Dalhousie University. The Dataverse Project is open source research data repository software developed by the Institute for Quantitative Social Sciences (IQSS) at Harvard University. What are some benefits of using Dataverse? Dataverse allows you directly deposit data, share data either openly or privately and discover data. Dataverse can help you receive web visibility, academic credit and increased citation counts. It is also an option to help satisfy research data management plan requirements. Contact Dalhousie University's Research Data Management Team at data.management@dal.ca to get started. 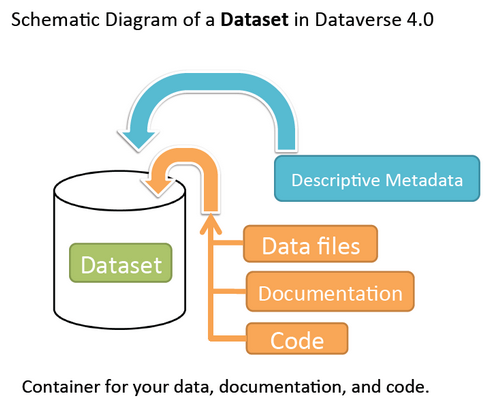 A dataverse is a container for datasets (research data, code, documentation, and metadata) and other dataverses, which can be setup for individual researchers, departments, journals and organizations. It is also the name of the digital repository platform - for example: The Dalhousie University Dataverse. Dalhousie Libraries Research Data Management team can help you set up a Dataverse for your research and grant you administrator rights. As administrator, you can manage various settings such as themes and widgets, permissions, roles and access, guestbooks and more. The Dataverse Project. (2016). Dataverse management. Retrieved from http://guides.dataverse.org/en/4.3.1/user/dataset-management.html. The Dataverse Project. (2016). Dataset + file management. Retrieved from http://guides.dataverse.org/en/4.3.1/user/dataset-management.html.